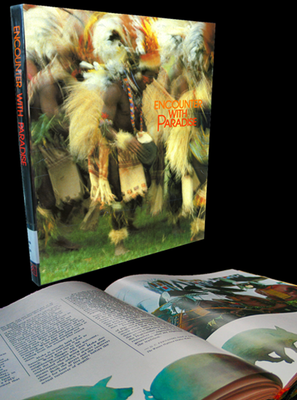 The book is about the experiences of a group of Filipino writers and photographers who traveled to Papua New Guinea during the South Pacific Festival of Arts in 1980. Aside from Jaime Zobel, other participating photographers were Emil Davocol, Bien Bautista, Edgar Sarte, Gilberto Vistan, Mercedes Zobel and Maureen Mackenzie. Participating writers were Sylvia Mayuga and Gilda Cordero-Fernando. Book designer was Edwina Koch Arroyo.